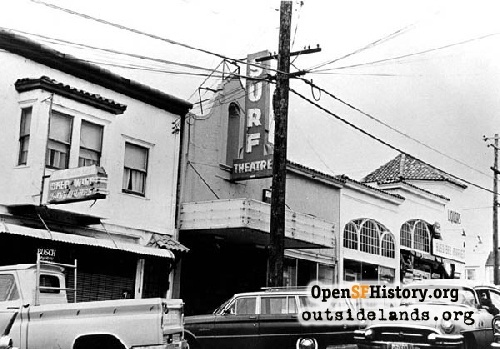 The Surf Theatre brought a wave of art films to San Francisco's Sunset District. Originally appeared in Ocean Beach Bulletin, June 2011. I was a junior at Sacred Heart High School in 1981, and I wanted to impress a girl from St. Rose who seemed refined, worldly and, frankly, out of my league. I asked her on a date to go to the Bridge Theatre to see “Das Boot.” It was the first movie with subtitles I ever saw, and walking her home, talking about camera angles, I felt equal to any lacrosse-playing dilettante she could snag at St. Ignatius. Thank you, Bridge Theatre. 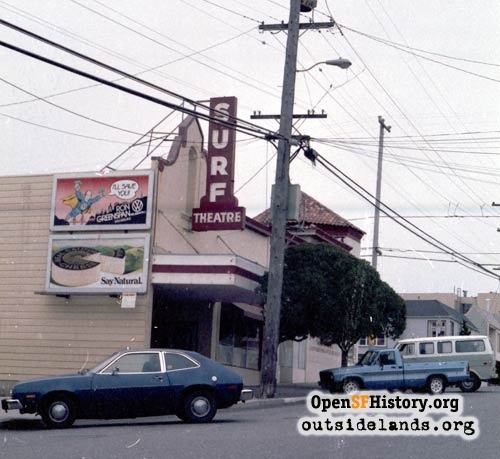 For a generation of San Franciscans a bit older than me, the Surf Theatre in the outer Sunset District served as a similar beacon of international sophistication on many a foggy night. Dozens of people have told me their introduction to the films of Federico Fellini, Akira Kurosawa, Ingmar Bergman and Jean-Luc Godard came at the Surf Theatre on Irving Street between 46th and 47th avenues. The Surf ran all the European art films and I was there for every feature: La Dolce Vita, Persona, La Chinoise, Jules e Jim… These films were reshaping the sensibility of a generation. They inspired the emerging American directors of the 70′s, and here they were playing in the remotest hinterlands of the most conservative middle class neighborhood in the city. 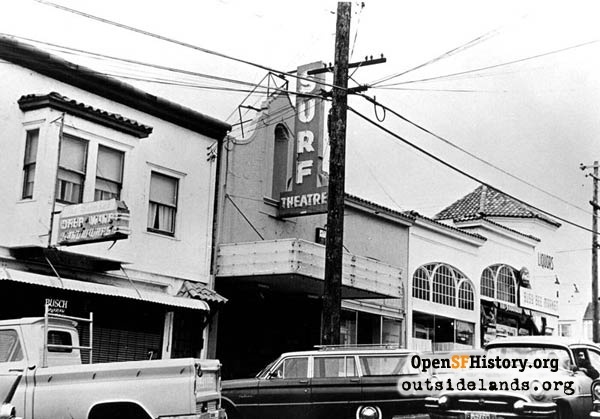 The Surf opened in 1926 as the Parkview Theatre at 4510 Irving Street. In 1937 it was rechristened the Sunset Theatre, but continued being a standard neighborhood theatre showing second-run movies that had played themselves out at the big cinemas on Market Street. Locals called it the “flea house” because of the sand fleas that roosted in the rows. That strip of Irving Street had a series of small businesses. On the northwest corner was a Safeway grocery that became the Busy Bee Market and today is Mollusk Surf Shop. Across the street was Sunset Poultry and Egg. Next door, to the west of the theatre, was Corabell’s bar. A few neighborhood businesses changed along with the Surf’s hip transformation. Corabell’s bar was renamed The Sunset, and local historian Dennis O’Rorke remembers it as a “women’s bar” before the Gay Pride movement. Sunset Poultry became the progressive, parent-run NEAT school (later Rivendell School) in the early 1970s. Novikoff built on his success by creating the Surf Theatres Group and making the Clay and Lumiere first-run houses. 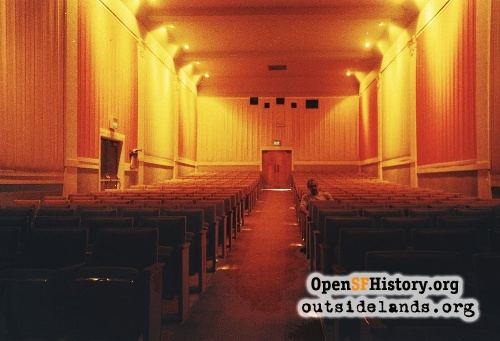 His greatest success and continuing legacy was the restoration and revival of the Timothy Pflueger-designed Castro Theatre. The success of revival-theatre programming across San Francisco diminished the uniqueness of the Surf. Business declined as Novikoff returned to showing recent second-run movies at his Irving Street theatre. On July 7, 1985 the 59-year-old movie house showed its last film. The site has had a church on it for many years now. Novikoff died in 1987. The San Francisco International Film Festival gives an annual award in his name to an individual or institution whose work has enhanced the film-going public’s knowledge and appreciation of world cinema. 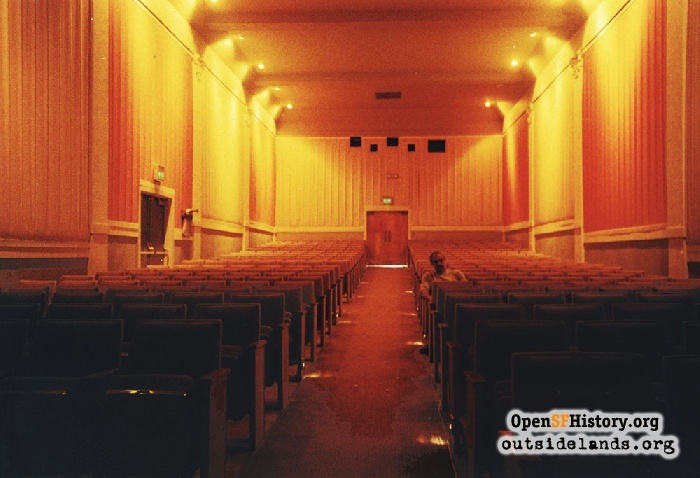 While the Surf and Novikoff are both gone, the experience of walking out of a theatre near the beach — the images of a just-watched film reverberating in your head, the smell of ocean air, the sight of a quiet street wet with fog and illuminated by the glow of a neon marquee — is still available. Make a visit to the Balboa Theatre at 38th Avenue and Balboa Street. Have some dinner before the movie, drop by Zephyr or Simple Pleasures café afterward, and raise an espresso in memory of the Surf. Theatre historian Jack Tillmany, who is a generous source of theatre knowledge and photos, is still searching for an image of the Surf as the Sunset or Parkview. Let us know if you find one. Page launched 21 February 2013.